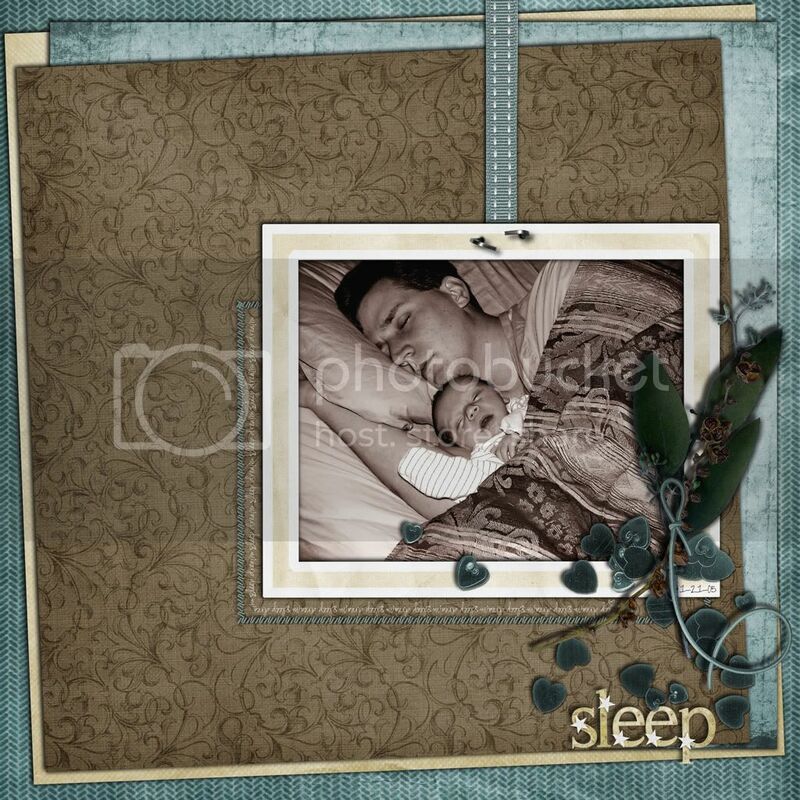 I've got more recently scrapped digiscrap challenge LO's to share. Like I said before I've been busy. 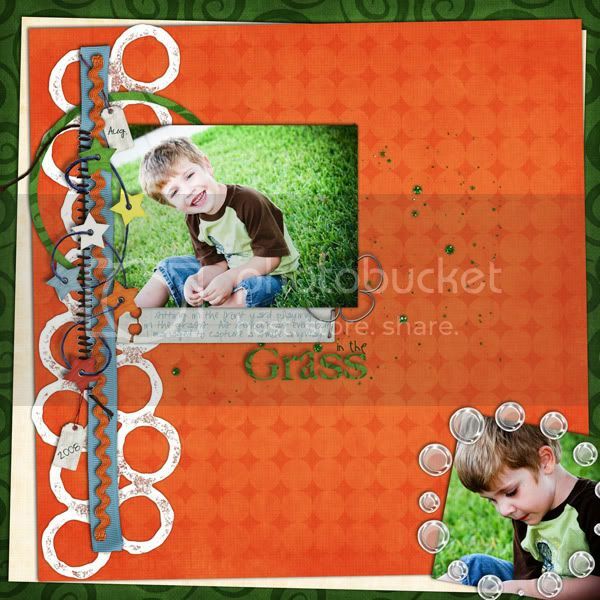 The ScrapMatters Design Star contestants are hosting challenges this week and I've completed a couple of them. They have some cute alphas for participation gifts. I LOVE the kit I used for that LO. Its Baby Jackson by Micky B Designs. I actually used it to scrap another page. It wasn't for a challenge, though, not that I can remember anyway. This one I did for Christie's Altered Candy Challenge over at Digital Candy. I used her Modern Neutrals Add-On as well as pieces from the full kit. This next LO was done at ScrapMatters during a speed scrap earlier this week. It turned out so great. It doesn't hurt that Tracie Stroud's Live Out Loud kit is so awesome to work with either. It was a Gallery Standout that night. I've got several more, but I think I'll stop with the Speed Scrap LO from BAM last night. I think mine was quite unexpected. We were instructed to use 3 different photos that go together. We were to cluster 2 together and then make the 3rd the focus of the LO. 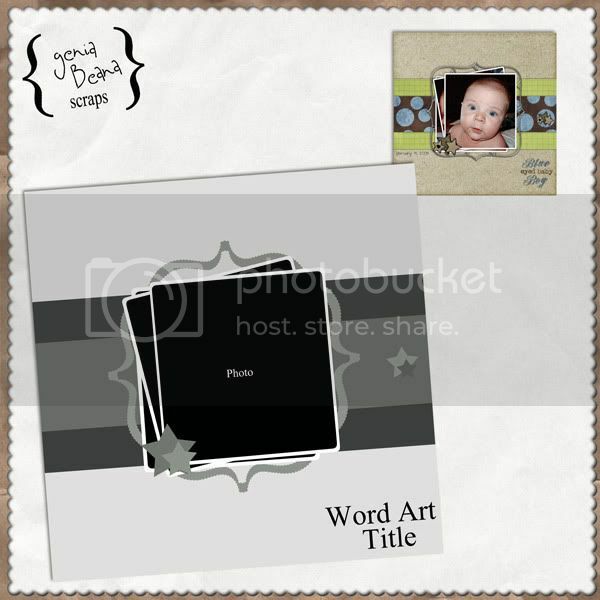 And I've made that LO into tonight's freebie template. Comments are appreciated. More to come tomorrow. Hopefully. I love your work! You have a great way of putting all the elements together! Great photos too! Thank you so much for this Freebie. I want to let you know that I posted a link to your blog in Creative Busy Hands Scrapbook Freebies Search List, under the Template(s), Overlay(s), Photo Mask(s) post on Apr. 18, 2009. Thanks again. Beautiful layouts. Thanks so much for the great template!